HomeLocalDevelopment124 Randolph Road – renovation or new build? When is a renovation truly a renovation, and when is it a ruse for avoiding additional “minor variances”? This question arose during a recent Committee of Adjustment (CoA) hearing to consider an application for minor variances for a property on Randolph Rd. near Lea Ave. (which also happened to have a bonnet on a box design!). The purpose of the application was described as: “To construct a one-storey side addition, second-storey addition, front-covered porch, and rear deck. Previously deferred on August 30, 2018.” As such, it was considered a renovation of an existing one-storey house, not new construction. This determination, a routine interpretation of the zoning bylaws, was made on the basis that more than 50 per cent of the walls would remain in situ, despite the fact that the pre-existing single storey bungalow would become completely unrecognizable, swallowed up by a massive three-storey house with multiple times the density! The question was raised as to whether, in fact, more than 50 per cent of the walls would remain, as required? The agent for the applicant informed the CoA that her client “preferred” renovation, and assured them there was sufficient retention of the existing structure. This is important, because the City’s applicable fees are lower for a renovation than a new build, but more significantly in this case, because if the City were to decide that it does NOT meet the definition of a renovation, and instead define the work as new construction, the side wall of the structure would be subject to a 0.9-metre side yard setback, rather than being allowed to build using the existing side wall, set back only .61 metres. This would result in additional variances needing to be applied for. But who would know to raise this question of whether the application actually meets the renovation definition, except as in this case, if the neighbour is an architect? The agent for the applicant tried to show that there were similar variances in the area, and that staff had no concerns. The neighbour showed compelling evidence that this house was massive, that the variances were not minor and did not fit the character of the area. The extended discussion ended quickly when a committee member stated she felt that “it all boils down to – there’s too much house for the size of the lot.” Committee members fell into line and the application for 124 Randolph was unanimously refused. Of course, being a developer-driven application, this may only be step one, and the committee’s refusal may be appealed to the TLAB. But the definition of renovation versus new construction in the zoning bylaw is clearly something the City needs to review, and in my opinion, narrow. The other lesson from this case is to make sure to read the applicant’s plans carefully, and ask questions. Here’s an update on the “bonnet on a box” design house under construction on Sharron Dr. that was refused by the Committee of Adjustment, where construction commenced anyway. 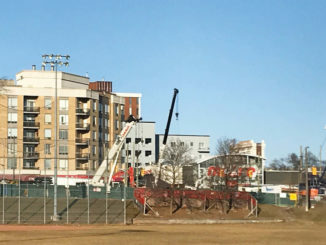 Discussions with Toronto Buildings have confirmed that a building permit was issued in April, 2018 based on plans submitted that conformed with the bylaws; however, a recent City inspection revealed issues of compliance with the approved plans submitted, and the City has now issued an “order to comply.” The owner has agreed to stop work pending the report to Toronto Buildings. Stay tuned for further developments. Geoff Kettel is a community connector and advocate for “making places better”. 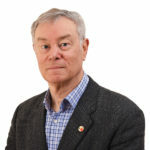 He is currently Co-President of the Leaside Property Owners’ Association, Co-Chair of the Federation of North Toronto Residents‘ Associations (FoNTRA), and Chair of the North York Community Preservation Panel. 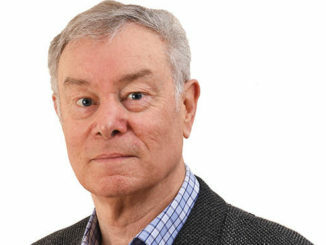 He writes a monthly column on heritage and planning in Leaside Life.